How do you describe traveling the world for a living? Especially when all that ‘traveling’ is done on luxury yachts for the most part. If doing what you love for a living is what you dream about, then Hannah Ferrier is living evidence of what you seek. As a young woman trying to gain ground in sales, Ferrier got hit by a sudden idea to go globe-trotting. After vacationing in Europe, she had no doubt what she wanted to spend her life doing; yachting. But that’s not all that defines the Australian. Asides her professional career, net worth and all the salient details there is to know, we answer the question, is Hannah Ferrier still dating Conrad Epson? Hannah Ferrier was born in Sydney, Australia, on November 23, 1986. Although details are scanty about her family life and background, it is believed that Hannah is a Daddy’s girl; she enjoyed a close father-daughter bond growing up. This is easy to believe because she continues to feature her father on her social media handles. By birth, Ferrier is an Australian and belongs to the white ethnicity; not an aboriginal as some belief. Although it’s not clear where and when Ferrier attended her early schooling, what’s not in doubt, however, is that she earned a degree that allows her to work as a yacht stewardess. Ferrier’s career history dates back to her days as a Hotel attendant when she was rooting for other options. She later switched jobs and became a sales executive for a Sydney-based IT company where she spent the next seven years. But as she’s pointed out on various occasions, Ferrier didn’t do so great with the traditional 9-5 lifestyle and soon, the would-be reality TV star took her first giant leap out her comfort zone. It started with a vacation in Europe where she finally discovered her life’s dream job; yachting. But there were still hurdles to scale. How does an average worker get to afford all the pomp and luxury around a yacht? Ferrier took what many still call a smart move; she appeared in and became a popular face in a reality TV show that involved yachting. Soon, Ferrier became the Chief Stewardess of a 150-foot long yacht. Talk about circumstances tilting to your favor. 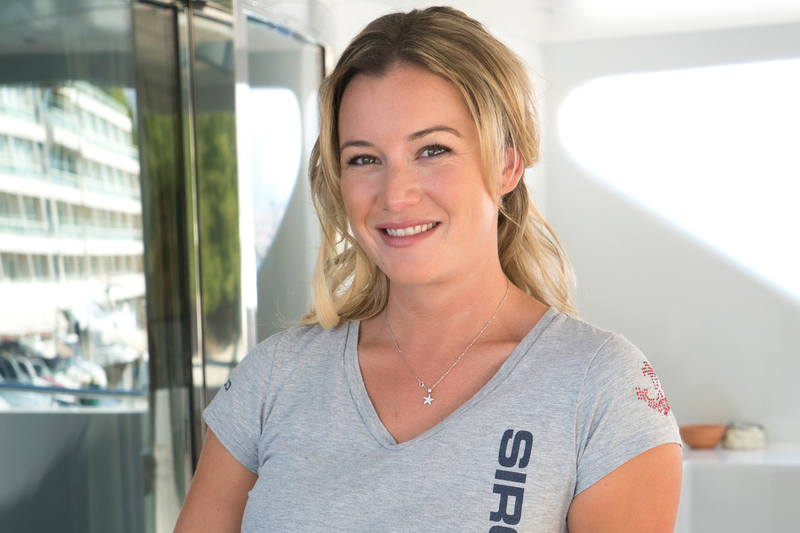 The spin-off Bravo Series, Below Deck Mediterranean, not only brought Ferrier to the limelight, it also put her right in the middle of what she loves to do. The show centers on the luxurious lifestyle of the super-rich on superyachts. It is based on the original series Below Deck which debuted in July 2013. For each season, the “Below Deck” franchise sets sail on a new boat, a fresh crew and to a new location. As the yacht courses through the Mediterranean, each episode features a new group of super-rich passengers, presenting a different set of challenges for the crew. Quite interesting, if you ask me. Famous for doing what she loves, what else can a young talented reality TV star ask for? Ferrier earns a sizeable sum from each season of the show Below Deck Mediterranean. She earns within the range of 62,000 to $75,000 from the show every year. According to sources, Ferrier also earns between $400-$700 per post on her Instagram handle. As of late 2018, her net worth was estimated at $500,000 Australian dollars. Is Hannah Ferrier Still Dating Conrad Empson? 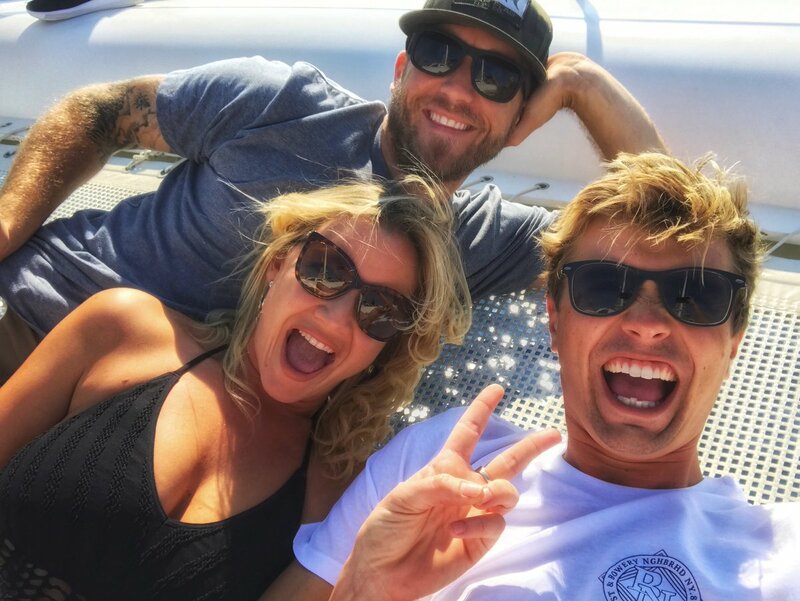 Hannah Ferrier shares happy moments with Conrad Empson on a yacht. Ferrier was known for her on-screen romance with her co-reality TV star, Adam Glick. After a mild steak of misunderstanding, the two settled and became close friends. Although it is not known how far they both went with their friendship, Ferrier confessed that a bit of love happened between them for a while. During the third season of the show, Hannah Ferrier’s romance with Conrad Empson was the centerpiece. The duo developed instant chemistry at some point in the season, but in what seemed like some sort of drama with João Franco, a mere fight over 50 Euros, and a canceled trip to Prague, the relationship hit the rocks and sank too soon. Although Empson and Ferrier got back to talking terms at the season 3 finale, they remain far from lovers. While it may be over with Empson, Ferrier isn’t single. She is, at the moment, dating Australian basketball player, Isaac Humphries. In an Instagram post dated Friday, August 3, 2018, Ferrier shared a loved up picture with Humphries; wrapping up the post with three heart emojis. Since late 2018, the duo has been in a relationship. The Sydney Australian TV star stands 5 feet 6 Inches (1.67 meters) tall and weighs 121 lbs (55 kg). She has dark brown eyes; wears blonde hair; wears shoe size 6 (US) and a bra size of 33B. She measures 34-28-35 for her breast-waist-hips respectively. She loves the pink color and relishes seafood. Her favorite actor is Pirates of The Caribbean star, Johnny Depp and her favorite actress is Jennifer Aniston. Ferrier is pretty ambitious in her career and she hopes to host her own travel show soon.